Thought I would pop up a little post on the campaign which Innocent Smoothies has run for the past eight years. I've always been a fan of Innocent Smoothies (mango and passion fruit is my fave, so yummy) and love any brand that does something to help a good cause! 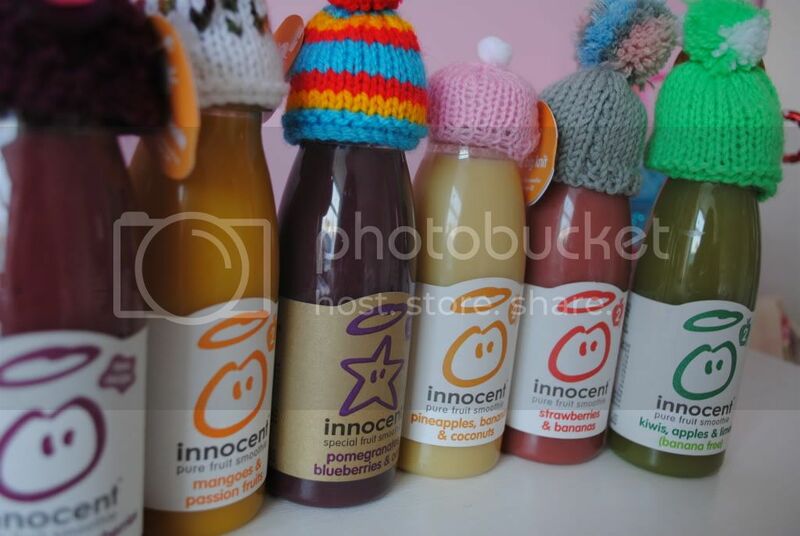 Each November, Innocent adorns its smoothies with a plethora of cute little knitted hats, in the hope of raising awareness of Age UK. 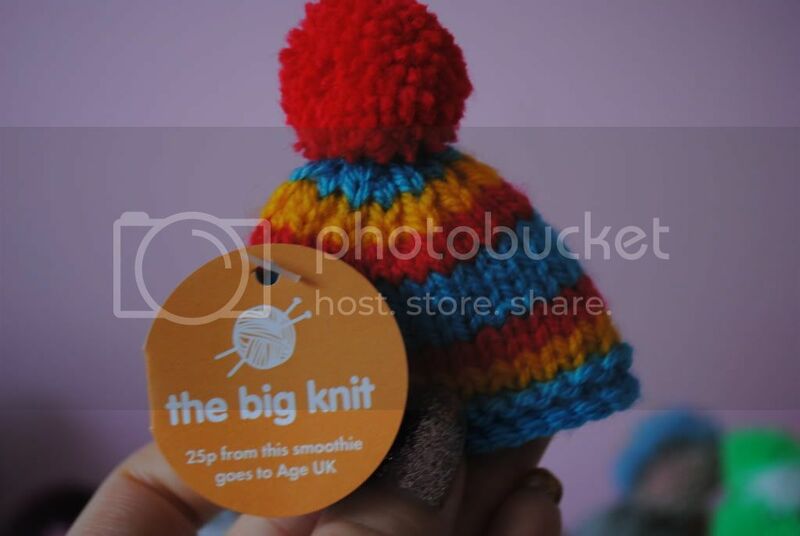 For each smoothie you buy wearing one of these adorable little hats, 25p is donated to the cause. 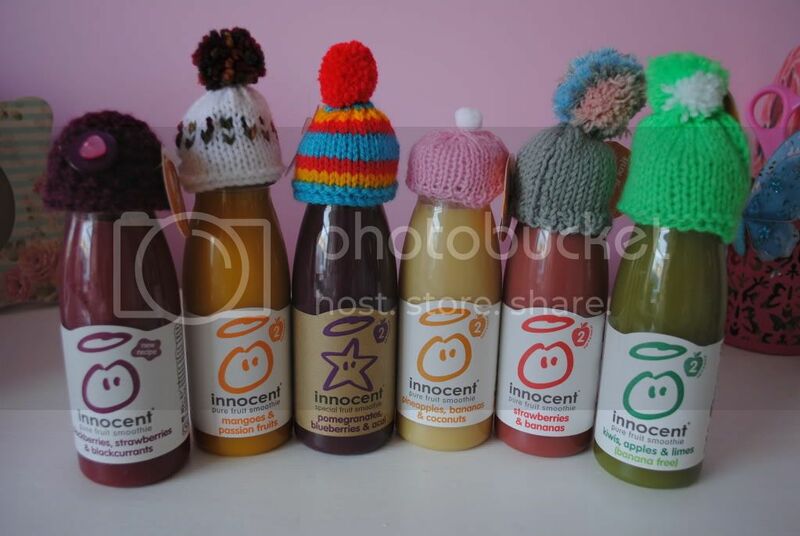 This year, Innocent are encouraging people to take funny snaps with the wooly hats, and posting them on their Facebook page. 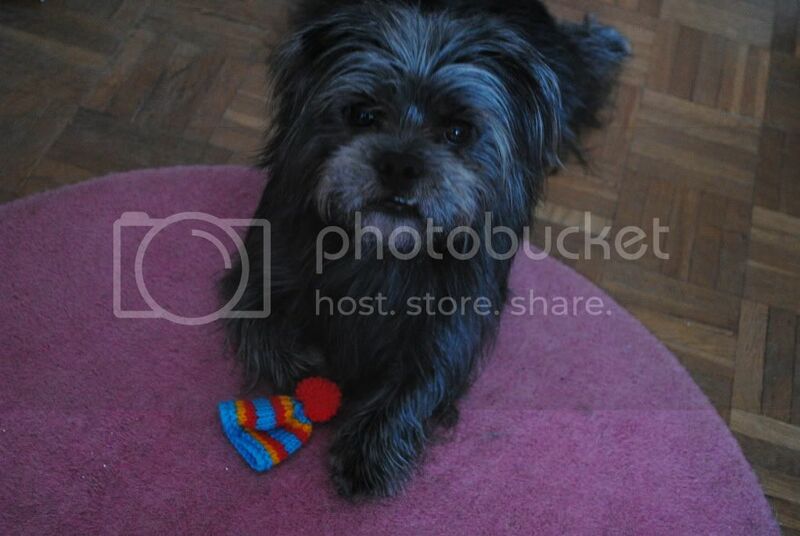 For each photo uploaded they will donate 10p to Age UK. I think it's a great cause and I love the idea of collecting all the different little hats, so cute! 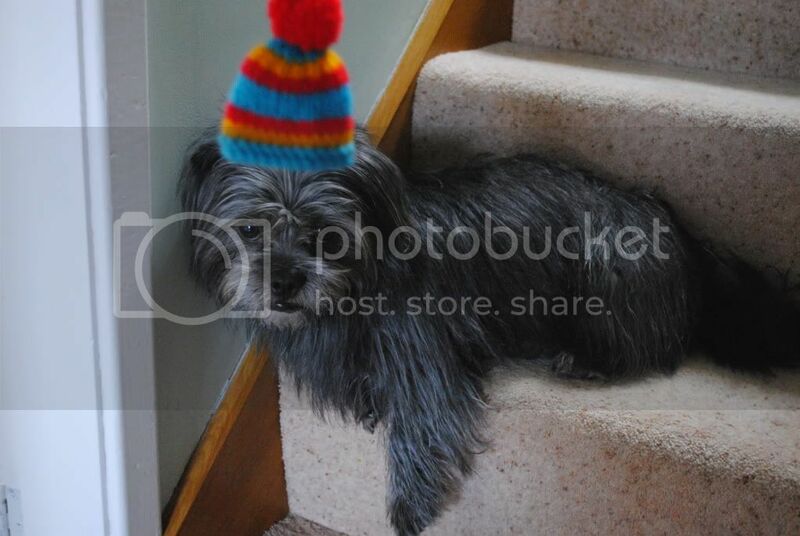 I, of course, had to take a snap of Rory looking unimpressed whilst wearing his little hat. I kind of want to knit him a full-size one now! The smoothies with hats are available in Sainsburys and Boots stores throughout November. Will you be uploading a photo of yours to help donate?